Coral reefs are home to millions of unusual looking creatures and plant life and are classified among the Earth’s most biologically productive ecosystems, providing food and refuge for these prehistoric animals. It has taken millions of years to create these underwater empires. 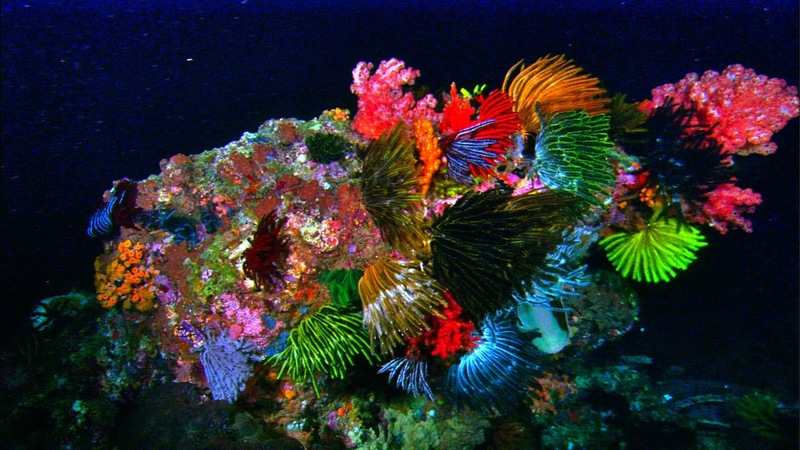 At night, the reef bursts into deep colour and unseen creatures through the day come out to feed and mate. Above: Crinoids are not corals but creatures closely related to starfish. Living in colonies or as individuals they perch in currents where they can catch and feed on plankton passing by.